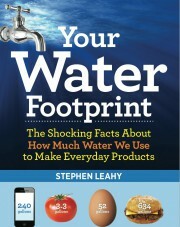 In Your Water Footprint (Firefly Books), Stephen Leahy introduces readers to the Virtual Water Concept and to readers’ awareness of how much water is used in our everyday activities. 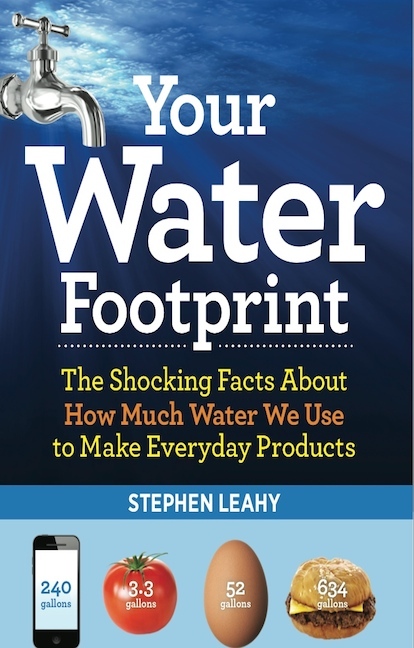 Leahy is an environmental journalist from Uxbridge, Ontario. The juries based their decision on the relevance of each book’s content to the importance of science in today’s world, as well as the author’s ability to connect the topic to the interests of the general trade reader. “The Fitzhenry Family Foundation is excited to award two pieces of work that ultimately encourage protection of the earth’s resources and animal welfare,” said Holly Doll. Order today at your local bookstore or online. This entry was posted in climate change, energy, environment, food, Water, water footprint, water scarcity, water use and tagged beef, California, clothes, drought, electricity, energy, Flood, food, hidden water, meat, virtual water, water footprint, water scarcity, water shortage by Stephen. Bookmark the permalink.